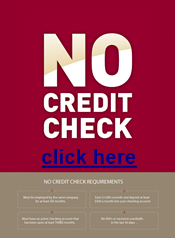 FINANCE IT TODAY - NO CREDIT NO PROBLEM ! Best prices in town, friendly/ helpful customer service, beautiful pieces . Mine was $689 here, same elsewhere was $2500 -$3000. I walked in on a whim just looking at bunk beds. I was amazed at the prices. They were the best I had seen anywhere around. The customer service was excellent. I will definitely do more business with them! . Just got my second mattress. Kim and the crew are so helpful and nice. Can't wait to try out my new bed tonight. We are proud to be family owned and operated since 2003. We have a large selection of furniture and mattresses, in our 17,000 square foot store, to better serve you, our customer. We are not your ordinary discount store! We pride ourselves with finding the best product at affordable prices. Here at Monster Mattress and Furniture we realize the importance of your home, which is why providing our customers with great values is our highest priority. We provide a wide variety of designed items that fit the need of your home at a price you can trust.